Argentina fire head coach after eight months – Royal Times of Nigeria. 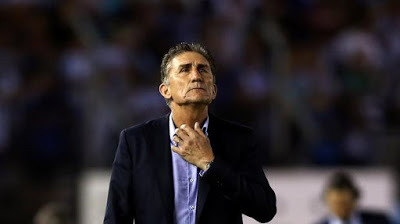 Argentina has fired its national head coach Edgardo Bauza just after eight months in the job. Bauza sacking is as a result of the team struggles in qualifying matches for next year’s World Cup in Russia. Bauza, 59, started the job last August when Gerardo Martino departed after Argentina’s loss in the final of Copa America Centenario.